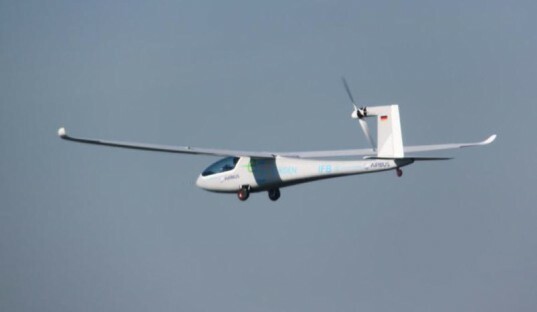 The eGenius, an electric glider devised by a team from the University of Stuttgart, has set a new record for electric aviation by maintaining an average speed of 100mph over two hours. 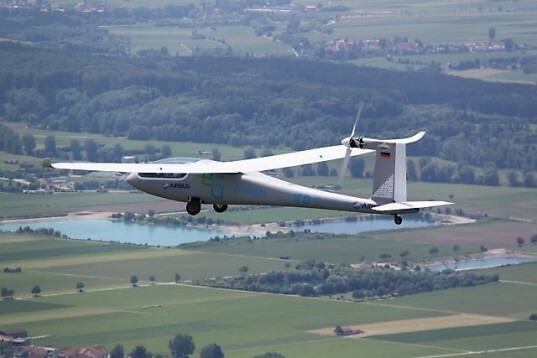 The result of the exercise saw the craft push the boundaries of what an electric aircraft has been able to do in terms of speed and endurance. The eGenius was crewed by two people, and with its 60 kilowatt (80.5 horsepower) motor stayed aloft for more than two hours. With its high aspect ratio wing spanning more than 55 feet, and a larger, more efficient propeller, the plane was able to complete its exercise with some energy left in its 56 kilowatt-hour battery pack. The exercise saw pilot and project leader Karl Kaeser, along with engineer Steffen Geinitz, take off from their home base in Mindleheim, Germany. Once airborne, they climbed to 4,000 feet, where the duo flew laps for a total distance of 211 miles. While the average speed of 100mph was not as fast as the record-breaking Cri-Cri, it does show that electric aircrafts are now capable of both high speed and long range. After the success of the test flight, the team is now preparing for the upcoming NASA/CAFE Green Flight Challenge. The contest rewards speed and endurance based on the number of people aboard. With a crew of two and impressive test results, there is every chance that the eGenius could scoop the top prize of $1.3 million. The eGenius project was founded in 2007 at the University of Stuttgart thanks to a sponsorship from Airbus.